KALAMAZOO, Mich. — Kalamazoo County health officials urged parents to vaccinate their kids after several measles outbreaks nationwide. The Centers for Disease Control and Prevention (CDC) confirms 79 cases of measles already this year. More than half of them are in Washington State. Doctors say measles is highly contagious and outbreaks could happen quickly among people who don’t have the vaccine. It’s not just kids that are at risk, adults are too. Emma Li, the administrator at Discovery Center child care in Kalamazoo, said every kid there is required to have the measles vaccine, among other shots. “It’s a good way for parents to feel safe that their kids in here with all the kids have vaccines,” Li said. 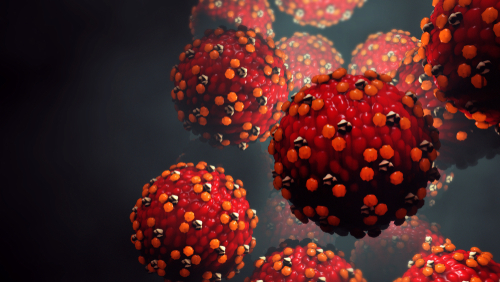 Doctors say measles is usually brought to the U.S. from overseas. Widespread use of the vaccine here makes an outbreak very rare, but the Discovery Center would rather be safe than sorry. “We are really close to university institutions where we can get visiting scholars, where we can get families from other countries and other states,” Li said. The CDC said the outbreak in Washington State affected dozens of people. According to a New York Times report, the outbreak happened in a county that has one of the lowest vaccination rates in the state. “As a parent I vaccinate my children not only to protect them, but to protect their friends and their families as well,” said Dr. William Nettleton, medical director of the Kalamazoo and Calhoun County Health Departments. Nettleton said the measles vaccine is nearly 100 percent effective at protecting your child.